Bloating causes many people to feel uncomfortable after eating. Both factors – gas buildup in intestines and water retained in the body can cause you to have abdominal distention. Bloating is usually caused by unabsorbed food that is fermented in the colon. The fermentation produces gases which cause irritation. Fortunately, measures such as pushing the gas out, adjusting the diet and taking some medications can help reduce the symptoms of bloating. The article below will give you all that, but first, let’s find out some more information about the bloating. Bloating is the accumulation of gas in the stomach and intestines, which makes you feel full, and in some cases your abdomen may be stretched. This condition usually occurs when you swallow the air or gas that comes from the breakdown of food during digestion. You may experience this bloating feeling one or more times a day. In some cases, bloating may be a sign of digestive disorder because of eating, or may also be a warning sign of many diseases such as gastro-duodenal ulcer and gastroesophageal reflux. The digestion of food in the stomach and absorption in the small intestine usually lasts 3-5 hours. If over 3 -5 hours that food is not digested, you are very likely to encounter bloating . What Are Common Causes Of Bloating? Diet includes high fiber foods such as fruits, vegetables, whole grains and beans. Your body can not digest lactose or gluten. Lactose is found in milk and dairy products such as cheese and cream. Gluten is a mixture of proteins and is found in wheat products such as pasta and bread. You do not regularly exercise so your digestive system works slowly. Chronic illness like irritable bowel syndrome. What Are Common Symptoms Of Bloating? Bloating is very popular in both adults and children. It often affects women more than men. Bloating is often thought to be a symptom of some diseases such as IBS or GERD. Bloating is not serious and can be easily treated. If the bloating persists and does not decrease with regular measures, you need to see a doctor. You can control this problem by minimizing risk factors. Please see your doctor for more information. The first step in diagnosing bloating is a clinical examination and a medical history review. You should talk to your doctor about your symptoms as well as your diet. You should also tell your doctor about any medications or herbs that you are taking. This will help doctors diagnose more accurately. The aforementioned is some useful information about bloating. 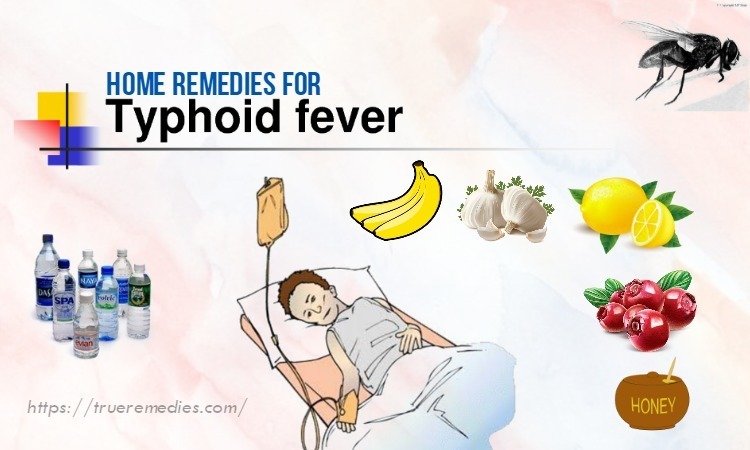 Now, find out useful tips to get rid of this condition. Please take a look at TrueRemedies.com! 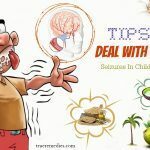 Avoiding keeping gas in your body is the first home remedy in this list of tips on how to get rid of bloating after eating. Many people often try to hold gas in their abdomen to avoid feeling embarrassed, but in fact, pushing the air out is necessary to push the byproduct of digestion out. Not doing this can lead to pain and discomfort. So instead of trying to avoid this, you should find a comfortable place to push the gas out. If you get bloated in public, you should go to the toilet to wait until the pain subsides. The gas in the abdomen is composed of nitrogen, CO2, methane and sulfur compounds. So it smells very foul. If it is hard to push the gas out, try adjusting the position so that the gas is ejected. Lie down and relax the muscles until the pressure in the stomach and digestive tract disappeared. Walking around is also very helpful. You can walk around the workplace or step up and down the stairs to help push the gas out. This is another must-try tip on how to get rid of bloating after eating. To relieve the pressure caused by bloating quickly, you lie down and place a hot pad or a hot pack on your abdomen. Their heat and weight help push the air out and reduce the pressure in the abdomen. 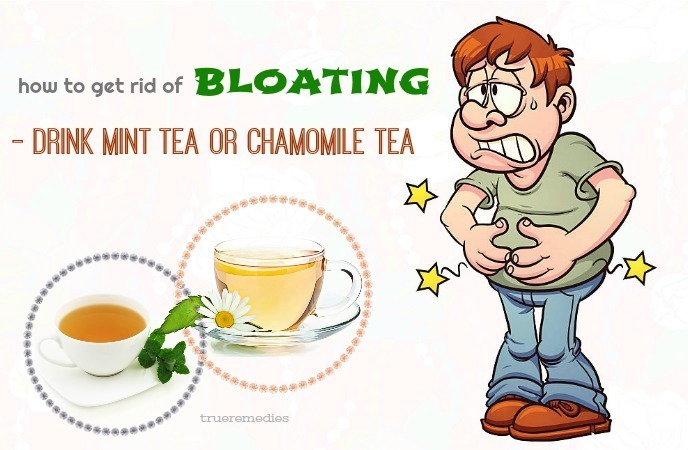 Drinking mint tea or chamomile tea is a little-known way on how to get rid of bloating after eating. Both types of tea can support the digestive system and reduce abdominal pain. Besides, it also alleviates the unpleasant feeling that you suffer. You can use mint / chrysanthemum tea bags, or fresh mint leaves / dry chrysanthemum. Drink tea as soon as they are hot to quickly reduce bloating. Garlic also stimulates the digestive system and reduces bloating, abdominal distention. Functional foods from garlic are sold at clean food stores. However, using fresh garlic will help reduce bloating. Avoid eating garlic with other foods that can cause flatulence and bloating. It is best to eat only fresh garlic or garlic soup. Among tips on how to get rid of bloating, baking soda is very easy-to-find. It acts as an antacid and has the ability to relieve indigestion. The alkaline nature of sodium bicarbonate in baking soda can fight off hydrochloric acid presenting in your stomach. As a result, it helps cleanse the gas, thereby decreasing bloating in the stomach . You should use baking soda as a short-term remedy for how to get rid of bloating as it may cause side effects, including stomach distension, if used in the long time. Never take baking soda on a completely full stomach. Pregnant women and people who are taking blood pressure medications or diabetes had better avoid this method. Pumpkin can be used to help decrease bloating and gas thanks to its high content of potassium and fiber. The potassium assists your body in removing excess sodium, which is the culprit behind the formation of gas in your stomach  . You can also add this food to your daily diet for similar effects. Acting as natural diuretics, lemons can exhibit the mild laxative properties if combined with warm water. It could be beneficial for treating bloating caused by salt overconsumption because they help decrease the amount of sodium within your body . Anise possesses antispasmodic effects which can help relax your digestive tract. Also, the carminative properties of this seed also relieve digestive issues such as dyspepsia, which may result in bloating  . 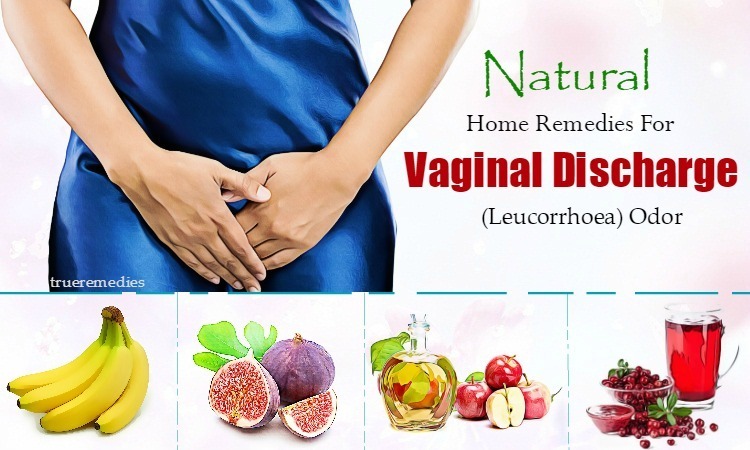 Constipation can be one of causes of a bloated stomach and castor oil is an ideal solution for this digestive disorder. This essential oil acts as a laxative that helps eliminate the root cause of bloating . 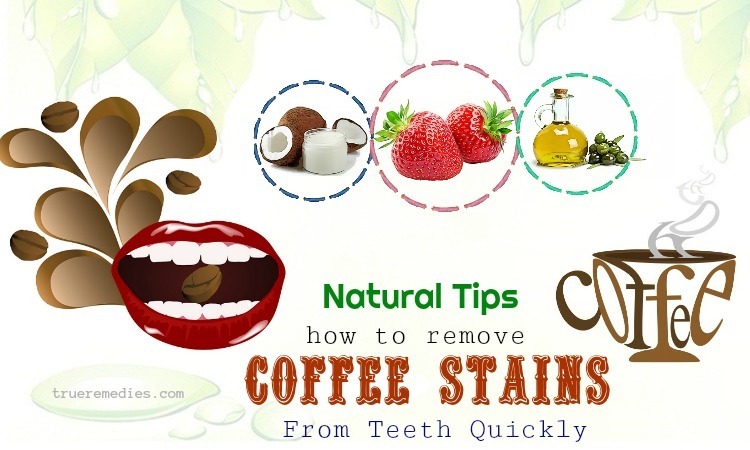 Or, you can also take a teaspoon of castor oil directly if you can bear the strong flavor of this oil. This sounds strange when it comes to tips on how to get rid of bloating after eating, but it works. Black beans, lima beans, and other beans generally produce gas. They contain a sugar called oligosaccharide that the body cannot digest. The sugar that is not digested by the body will remain intact during digestion and lead to gas production in the small intestine. Fiber has many health benefits but cannot be digested and is one of the main causes of bloating. You should identify the most high fiber fruits and vegetables that cause the most problems. Cabbage, broccoli and cruciferous vegetables produce more gas than other vegetables. Cow milk contains lactose which is not good for digestion of many people. You should avoid consuming milk, cheese, cream and other dairy products. Goat milk is easier to digest so you can choose it as a substitute. Sorbitol, mannitol and other artificial sweeteners cause many people to have bloating. Gas bubbles in carbonated drinks lead to bloating because gas is trapped in the stomach. The next one in this list of tips on how to get rid of bloating after eating is changing the way you eat. Our bodies naturally produce hydrochloric acid which helps break down protein when you start your meal. If you start a meal with a carbohydrate-rich food, hydrochloric acid will be used up before the protein in the following food goes into the body. Then, untreated protein will ferment and lead to flatulence and bloating. Instead of starting a meal with bread and salad, you should first eat some meat, fish or protein rich foods. Stomach usually produces hydrochloric acid as soon as you start eating, but carbohydrate digestion requires very little hydrochloric acid (in compared to protein). If you are having trouble digesting protein, you should consider using hydrochloric acid supplements sold in clean food stores. Take food supplements after meals. That is the stage when our body digests foods. No wonder, this tip should be mentioned when it comes to learning how to get rid of bloating after eating. Chewing is the first part of the digestive process. You should chew food thoroughly before swallowing to reduce the workload of the stomach and intestines, thereby reducing the risk of food fermentation and gas production. Please chew about 20 times before swallowing. Reducing the speed of eating also helps prevent swallowing of the air as you eat too fast, thus reducing the frequency of bloating and belching. 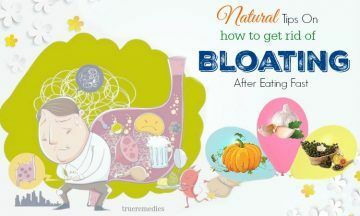 This is another must-try treatment in this list of tips on how to get rid of bloating after eating. To facilitate the digestion process, you need to add more beneficial bacteria to your gut. In fact, human beings have long known how to supplement more beneficial bacteria to the body. Yogurt contains probiotics, a popular source of bacteria that helps digestion. Kefir milk fungus is another form of milk that also helps digestion. Pickled cabbage, kimchi and other fermented vegetables are also good choices. Functional food containing enzyme helps the body to break down ingredients in the beans, fiber and fat (they have the ability to cause bloating or bloating). You should identify foods that cause your problems to select the right enzyme. If you have trouble digesting beans, you can try Beano products containing the enzymes needed to digest oligosaccharides. You should drink digestive enzymes before meals so that the body is ready to digest when the food is put into the body. This remedy is one of little – known tips on how to get rid of bloating after eating. Another way to push the gas out from the opposite direction is belching. Although belching does not have a lot of effect on the intestinal gas, it can definitely help to remove excess gas in the stomach and upper gastrointestinal tract. The accumulation of gas in the stomach can be due to swallowing or eating too fast, drinking with a straw, chewing gum and smoking. The accumulation of gas can be pushed out simply, quickly and painlessly by belching. Although drinking plenty of carbonated drinks can cause a stomach ache, some sips of carbonated drinks may help stimulate belching and push air out. Natural ingredients sometimes used to stimulate belching include ginger, papaya, lemon juice and mint. Similar to deflating, many people and many cultures (not all) consider belching in public to be impolite so you need to be cautious. The next treatment in this list of tips on how to get rid of bloating after eating is avoiding dairy products. Lactose intolerance is an inability to produce enough the enzyme lactase – an enzyme necessary for the digestion and resolution of sugar in milk (lactose). Symptoms of lactose intolerance include bloating, abdominal distention, abdominal cramps and diarrhea. So you should reduce or avoid consuming animal dairy products if you suspect lactose intolerance, especially cow’s milk, cheese, fresh cream, cream and milk shakes. Lactase production decreases rapidly after adolescence, which means that the risk of lactose intolerance increases as you get older. If you want to continue to consume dairy products without having to worry about bloating and abdominal pain due to lactose intolerance, you should buy lactase enzyme supplement capsules at a health food store or pharmacy. Take some enzyme supplements before eating dairy foods. Digestion of normal foods, especially high protein foods, requires a lot of stomach acid, i.e. high levels of hydrochloric acid (HCl). A lack of stomach acid production (a problem that is often caused by aging) can lead to inadequate protein digestion, resulting in protein fermentation in the intestines and the creation of gases. So, you should ask your doctor about the possibility of stomach acid production and consider taking supplements of HCl if your body does not produce enough acid naturally. Betaine hydrochloride is a common supplement form of HCl that you can buy in most health food stores. Remember to drink after meals, not before or during meals. This enzyme is extracted from Aspergillus niger mold in food so it can cause allergic reactions in people sensitive to mold and penicillin. As mentioned above, the common reason that some foods can cause bloating is because the human body cannot digest some complex sugar compounds (such as insoluble fiber and oligosaccharide). 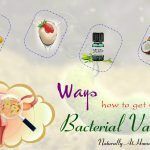 The use of alpha – galactosidase-containing products (Beano, Suntaqzyme, and Bean-zyme) can help with this problem because the enzyme breaks down the complexes before they reach the intestine and starts fermenting. 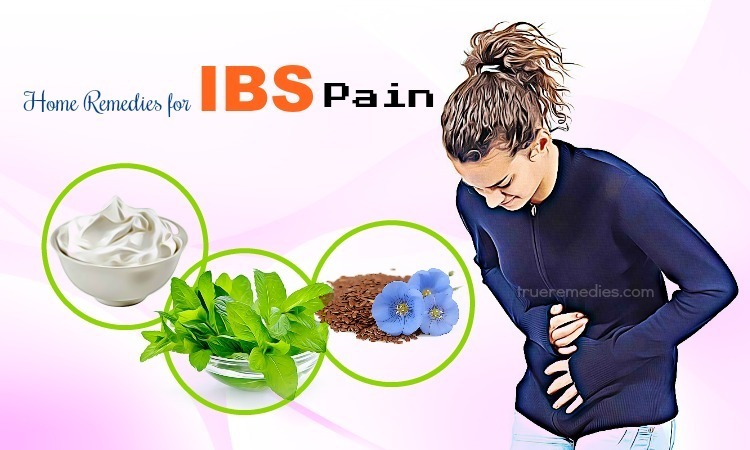 You should take an alpha-galactosidase tablet right before consuming high fiber foods (vegetables and beans) to prevent gas and abdominal pain. Alpha-galactosidase effectively degrades galactose to glucose but can interact with diabetes medications. Consult your doctor if you have diabetes and want to use products containing alpha-galactosidase. This remedy is one of little – known tips on how to get rid of bloating after eating is taking probiotic supplements. Probiotic supplements contain beneficial bacteria that are found in the large intestine. These bacteria can be killed by the use of excessive antibiotics, laxatives, alcohol, and metal contamination. Intestinal imbalance leads to digestive problems and gastrointestinal symptoms. 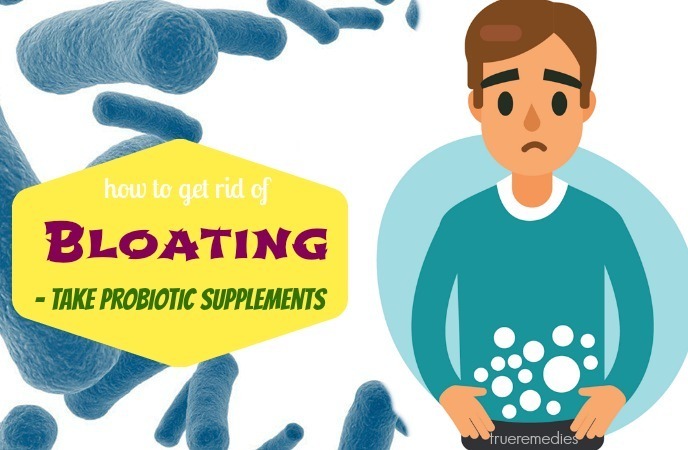 If you think you may be at risk for a bacterial imbalance in the intestines, consider taking probiotic supplements to relieve pain caused by bloating. Probiotics are safe and are usually sold at health food stores. Probiotics are available in the form of tablets, capsules or powders and must be taken regularly to maintain high levels of bacteria in the large intestine. Any product you choose must also be dissolved in the intestine or wrapped in a capsule to survive in acidic stomach so that it stays alive when it comes to the intestines. Fermented foods are also a good source of beneficial bacteria. They are natural yoghurt, dairy butter, Kefir milk fungus, fermented soy products (natto, miso, soy sauce, and tofu), pickles and even unpasteurized beers. The next treatment in this list of tips on how to get rid of bloating after eating is making regular exercise. Exercise improves the function of the digestive system. In addition, this tip also helps you control weight, enhance metabolism and relax. Mayo Clinic (USA) recommends that you practice Aerobic 75-150 minutes per week . Choose activities you enjoy, such as jogging, walking, cycling, swimming, or taking part in a sports group such as volleyball or basketball. Start slowly and gradually increase the intensity of the exercise. Consult your doctor if you have a health problem that makes it difficult for you to exercise. If you suffer from constipation, excrement will not be easily excreted. This means that the stool will have more time to ferment in the intestine and the gas will easily be secreted. Eating small meals helps the body to continually digest food without causing pressure. Try to eat less at regular meals, then snack between breakfast and lunch, between lunch and dinner. The next treatment in this list of tips on how to get rid of bloating after eating is relieving stress. One of the main causes of bloating is stress. Stress affects the digestive function of the stomach. The use of certain medications to treat depression also results in bloating and at the same time makes the condition worse. Therefore, if this is the cause of your condition, you need to quickly take some measures to relieve stress. Do yoga, meditation or walking. 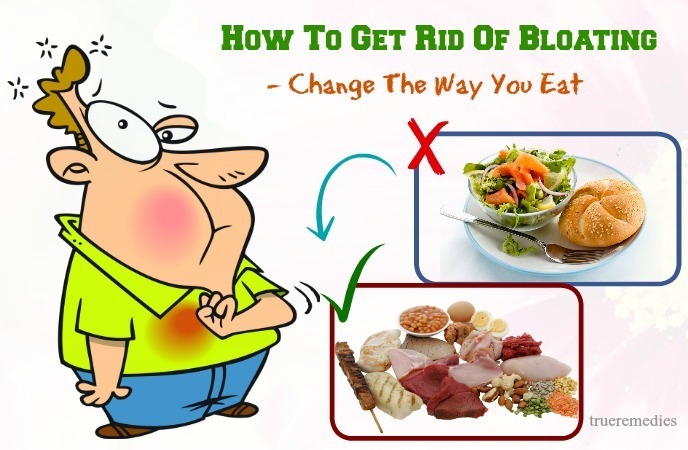 This is the last one in this list of tips on how to get rid of bloating after eating. When we fall asleep, our digestive system stops working, causing food in the stomach to not digest. This causes bloating. Therefore, nutrition experts recommend that we should not eat before going to bed. The next treatment in this list of tips on how to get rid of bloating after eating is taking over-the-counter medications. If you have gas and bloating, taking preventative medicine will not work. Instead, you should choose drugs to break the bubble and reduce the pressure in the intestines and stomach. An over-the-counter simethicone is used to reduce the accumulation of gas in the abdomen. Activated carbon is also used to reduce bloating. It is sold in pharmacies and clean food stores. Above are tips to help you get rid of bloating. Although they are very simple, the effect that they bring you will surprise you. 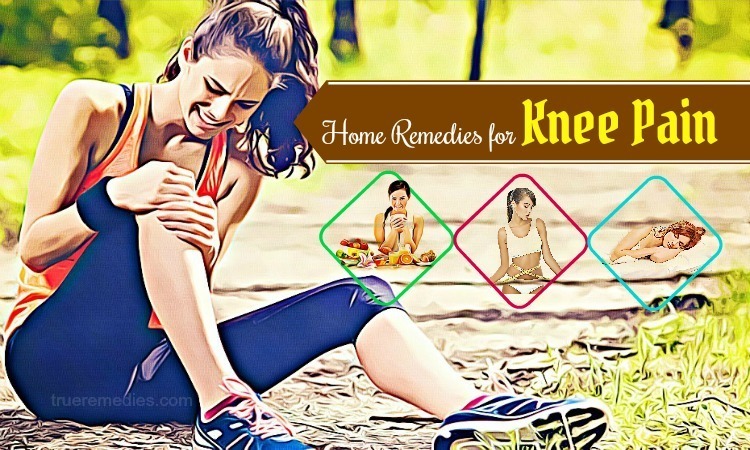 So, quickly apply them to improve your condition. If you have any contributing ideas about our article of “Top 24 Tips On How To Get Rid Of Bloating After Eating” introduced in How To Category, do not hesitate to drop your words below this post. We will answer as soon as we could.